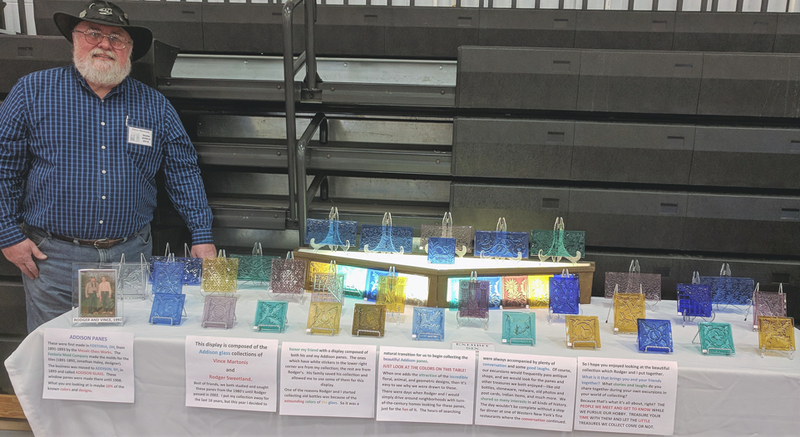 Vince Martonis of Gerry recently presented a display of 41 Addison glass window panes at an antiques show in Rochester held at Roberts Wesleyan College. His display won the “Most Educational” award at the show. Addison panes were made at the Addison (NY) Glass Company from 1893 to 1908. Prior to this, they were made for two years in Fostoria, Ohio. 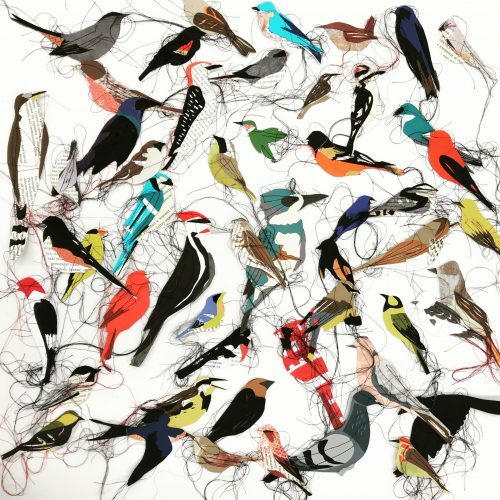 They come in an array of colors and designs, mainly florals, geometrics, and animals. They may still be found around the front windows of early 20th century homes, mostly throughout the northeast.